Suggesting he may have received an angry voicemail or two, Alec Baldwin has predictably ameliorated his recent comments that 30 Rock would come to an end in 2012, writing on his blog at The Huffington Post that he hopes the series will go on—though again, he won’t be a part of it. “I want to take the opportunity to state that although my days on network TV may be numbered, I hope 30 Rock goes on forever,” he wrote. “Or at least as long as everyone involved desires. Next year hopefully won’t be the last.” Baldwin then offered several ideas for the direction the show could take—“Kenneth can run the network. Jenna will get her own talk show. Tracy will become Mayor of New York. 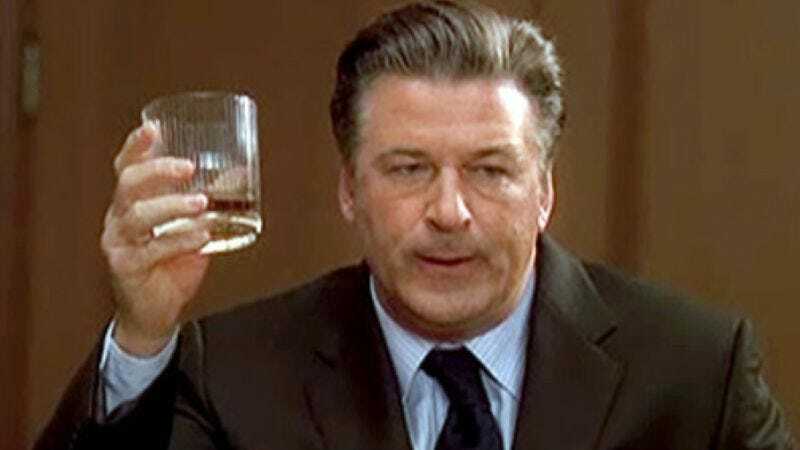 Then resign to go raise exotic reptiles”—ending with a valedictory toast, “Here’s to five more seasons.” Alec Baldwin: capable of making even the blackest sarcasm sound classy.